The dream of opening a purpose built hospice in Paphos has now finally been realised. A great debt is owed to all those who have given so generously through donations and sponsorship both in Cyprus and in many other countries. Thank you for your contribution and support. To offer free hospice and palliative care to all in need regardless of their religious belief (or none), nationality, financial situation or the nature of the illness. Early in the 1990’s the Latin (Catholic) Parish community saw a need for a purpose built hospice something which was lacking in Cyprus. Plans were drawn up and after a period of several years permission to develop a site near the tranquil village of Mesa Chorio was finally granted by local and government authorities. Site clearing and groundwork commenced in 2004 and after years of slow steady progress the Hospice has finally opened. All the initial funds for this badly needed facility came from the generosity of people both within the parish and outside as well as generous support from friends from overseas. There has been a wide range of fund raising events and, with donations towards bricks and windows, in excess of €2.1 million has been raised. The challenge now is to fund the operating costs …. 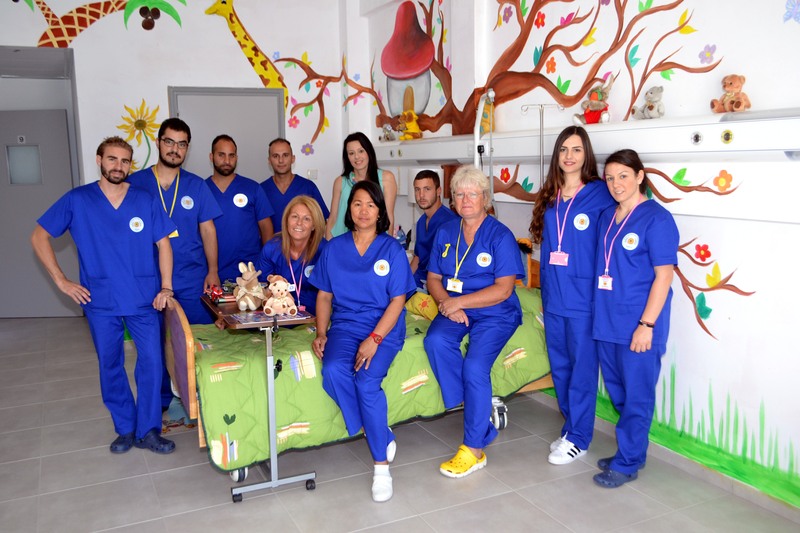 The Hospice has 9 double bedrooms including the only one in Cyprus dedicated specifically for children with life limiting illness. We support families through the good days and bad days because we believe that when cure is no longer possible, care is. The facility is fully staffed with both highly trained full time nurses as well as volunteers in all manner of support roles. To get this far is an amazing feat but today the project is much wider than just a Parish one. We now need a fund raising focus on covering the nearly €7000 per week operational costs.